This fly fishing net, with rubber coating nylon net, makes it super easy for catch and release, which is a perfect tool for anglers. Lightweight and durable, easy to carry. Aluminum alloy opening frame, solid and durable to use for a long time. 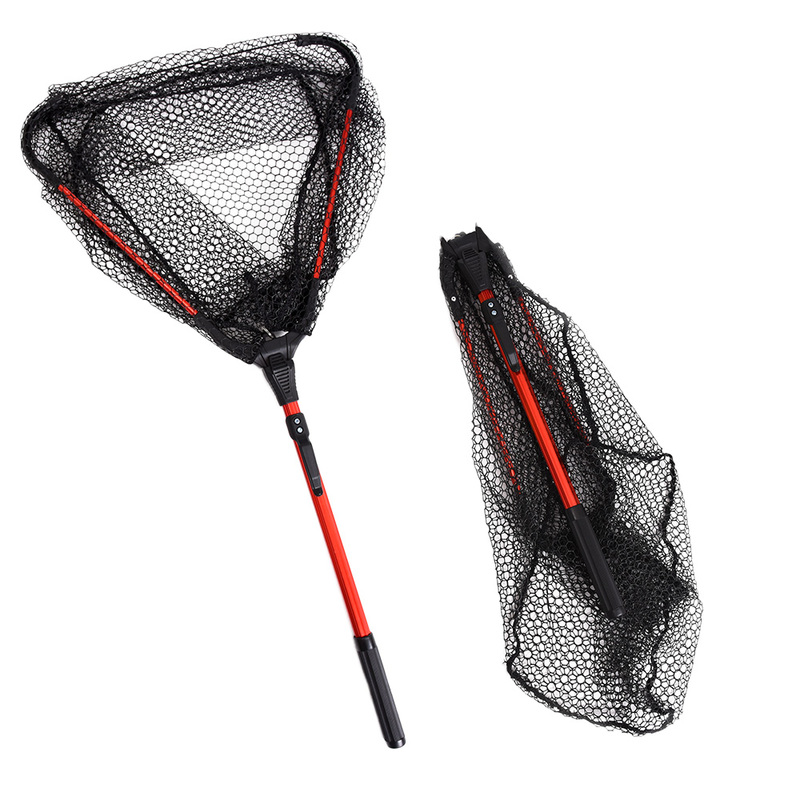 Foldable and compact design, the push button to fold the net is made of very strong nylon material. Rubber coating nylon net, intensive and deep enough, making it super easy for catch and release. Net's special coating guards against your hook points getting stuck in the net. Aluminum alloy construction of handle with ABS handhold end, which makes it feel good in your hands.